This is the beautiful Cuba. 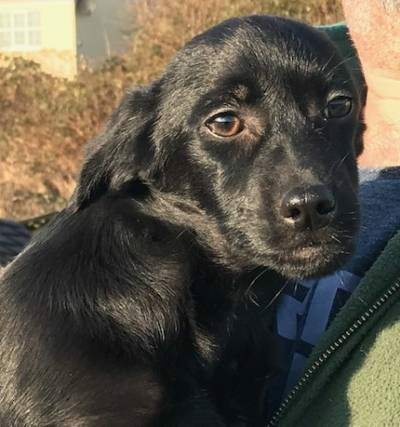 Cuba is a small 15 week old crossbreed puppy. Cuba is just adorable, shes a sweet natured, waggy little girl. She loves to play with her toys, and with the other dogs. She has tested well with cats. Cuba needs some more training on her harness and lead walking. Cuba needs a home where someone is around most of the time to continue her training. Cuba is a very sweet little girl. She is fully vaccinated and chipped, she will need to be spayed when old enough and we will need proof this has been done. Can you offer this gorgeous little girl her forever home ? For further details regarding adopting a dog from Ravenswood Pet Rescue, please email caroline@ravenswoodpetrescue.co.uk or telephone 01945 232080 or visit www.ravenswoodpetrescue.co.uk Dogs are rehomed all over the UK and our dogs are in various locations throughout the UK following a successful homecheck.